Open a document to see all settings options. Tap the Settings icon and then Change sign-in details in the User section. 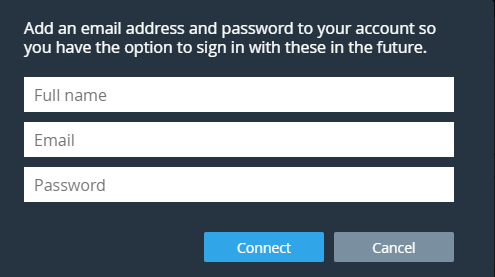 If you registered with email you can change your email and password. 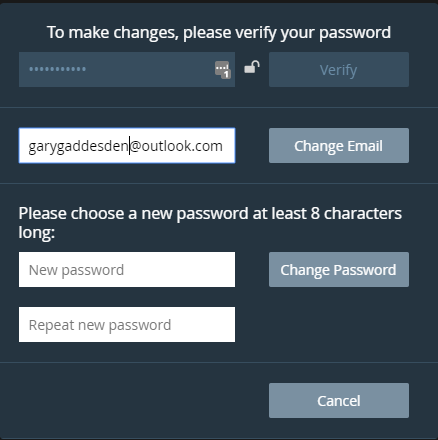 If you registered with a cloud drive you can add another email address and password to your account.